Home > Blog > Can a First DUI Get You Deported? Can a First DUI Get You Deported? Whether you’re a student on an F1-visa, a green card holder, or in the US for asylum, you don’t want to take your chances when it comes to deportation. A California DUI is serious for anyone, but for non-citizens, it can lead to a tragic deportation. We’ve entered a political climate where the US government is even harsher and swift when it comes to immigrants, as you’ve seen in the news. Here’s what you need to know about DUIs as a visitor to the US. According to section 237 of the Immigration and Nationality Act (INA), a DUI itself isn’t necessarily a crime that will get you deported. However for a person who is here on a visitors visa, even being arrested for any crime is a ground for visa revocation. Also, many immigrants receive “discretionary benefits” that they will be ineligible for if they are convicted of a DUI. This is why it is essential you chose the best legal representation you can if you find yourself in this situation. An example of an offense more likely to result in a deportation would be if someone got a DUI while driving with a suspended license, showing both a bad decision to drive and also knowledge they were breaking the law. Typically a ground for deportation would be an aggravated felonies, an offense involving controlled substances, or multiple crimes of moral turpitude. A few years ago, a very serious DUI, involving an accident and a serious injury to a victim, could be a ground for deportation based on a “crime of violence” analysis. In 2004, after a major ruling, the US Supreme Court decided that DUIs weren’t crimes where someone was intentionally violent to others, but more crimes of negligence. This removed DUI from a crime of violence classification and made it into a “non-deportable offense”. In other words, a person who sits behind the wheel and drives after drinking or using drugs is neglecting their responsibility to keep others safe on the road. Yet, the state will still prosecute this crime because when someone gets behind the wheel of a car drunk, they are engaged in a very dangerous activity. They are putting not only themselves in danger, but also other drivers on the road and their passengers at risk. Whether driving through a red light at an intersection and causing other cars to stop quickly or creating an accident, a DUI is considered a crime that puts others at risk. Even though DUI does not fall within usual deportable grounds, multiple DUI convictions can lead to the start of deportation proceedings because the immigration will suspect that you are a habitual drunk. Being a habitual drunk is a separate ground for deportation and will require a visit to a doctor. A doctor will examine you and decide if multiple DUI offenses are coincidences or a result of being sick with alcoholism. 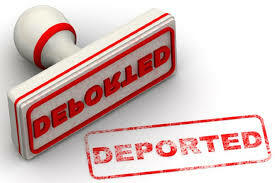 An alcoholic can be deported and you need a help of an attorney if you are facing multiple DUI cases. Also, while an alcohol DUI is not usually a deportable offense, the presence of illegal drugs in your blood is. Any offense involving illegal drugs can have the most devastating consequences. If you are in the US as a visitor and are arrested for a DUI, it’s important you get help from an attorney specialized in DUI in the state where you were arrested. Your lawyer will analyze what happened and will use his knowledge of the law and of the court system to give you a valuable advice, including if you need a lawyer and if you have a defensible case. The laws around California DUIs are very specific and it takes someone well versed in the system who has a working relationship with judges and prosecutors to get you the best possible outcome and to avoid a conviction or to get the lowest possible punishment. For example, clever Los Angeles DUI lawyering can help avoid jail time even when it is mandatory. If you were arrested for a DUI in California and worried about deportation, call the DUI Law office of Alex Andryuschenko at (818) 921 7744 . 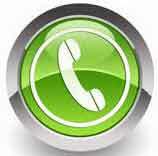 We provide a free DUI case review to help you defend your case. Can a DUI be a Reason for Deportation Under New Immigration Policy of President’s Donald Trump?